It is no secret that kids seem to live in their own world, and that is the beauty of being a child! You don’t accept everything around you the same way as adults do. You get to dream a lot more and to put meaning in things that a grown-up person would never think about in a similar fashion. There many ways in which we could describe this and the following list is one of those ways. It shows how kids were able to handle different situations and all of them are funny and curious to see! Some examples are more than impressive! 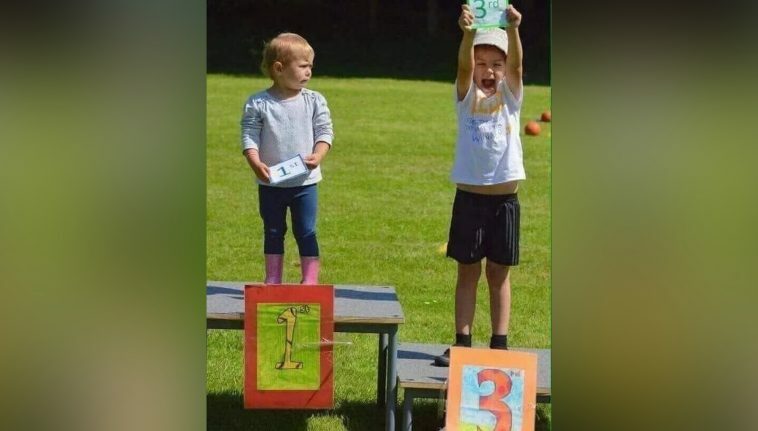 The one pictured above shows that you could still be happy despite not winning, and that you could also be sad despite being in the first place! This is one of those cases that are both funny and arguable. 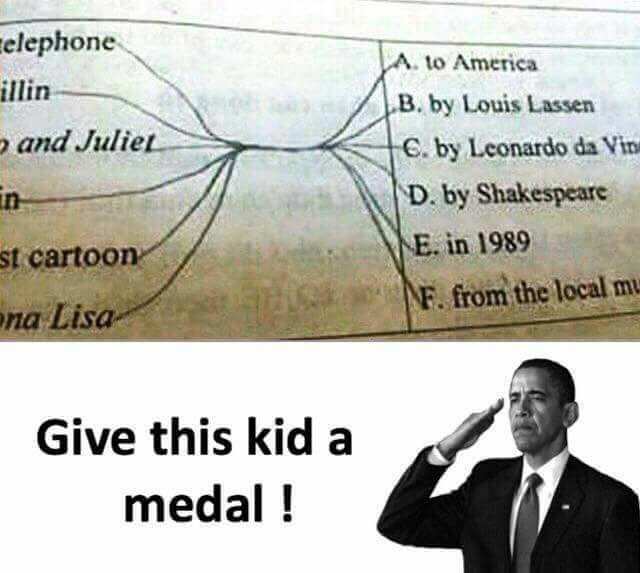 Of course, we all know what the people who created this task demanded to be done, but the way they asked the question gives it a certain double meaning, and this kid obviously took advantage of that! 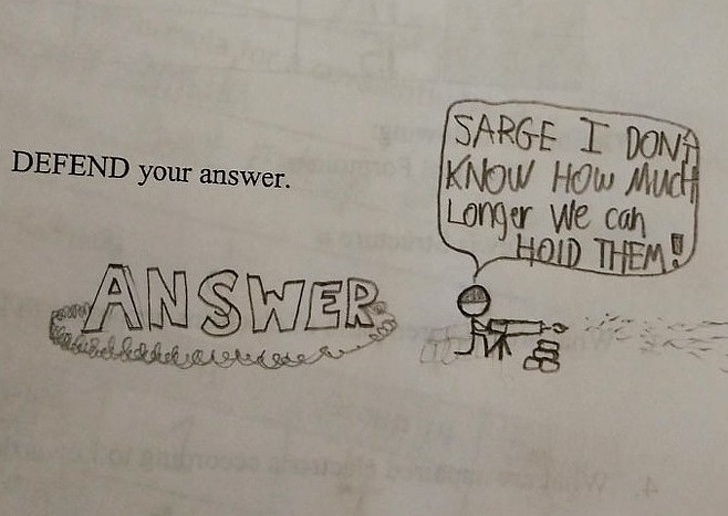 While the kid’s answer is correct in one way, it is still not the solution to the problem that needed to be provided, so this answer was not accepted. 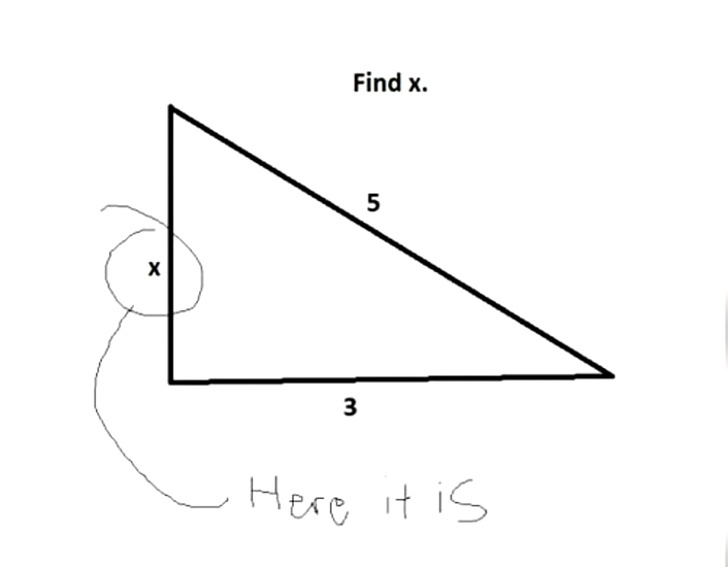 However, we believe that every teacher should give some extra points to every kid that is able to think outside the box, just like in this case! Seeing this really made us chuckle and we guess this kid is definitely going places! We remember some of the topics we used to make our presentations on at school. Oh, the good old days were a lot of fun, and this kid reminded us of that part our lives. However, we also felt a bit envious, because we were never this creative! 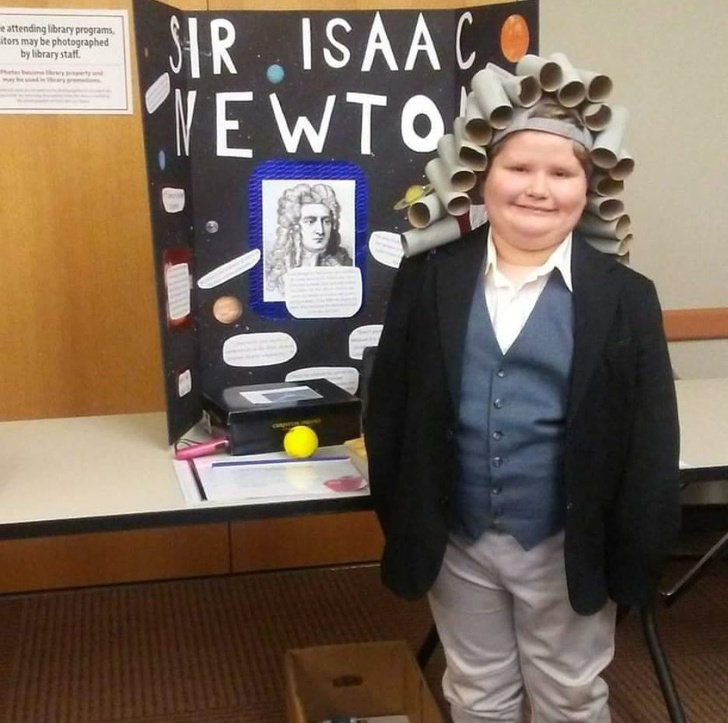 As you can see, the boy decided to dedicate his presentation to Sir Isaac Newton, and decided that a proper outfit would help. Not only that it did, but it also turned out to be the best part of the presentation! The clever way of replicating his wig is definitely something we would have never thought of, and we believe everyone appreciated this student’s effort! We are more than certain that schools need to introduce an alternative scoring system. It is fairly easy to evaluate a test but the answers given to a specific question would only speak of whether the student learned the material or not. This cannot tell you anything about how their mind works or if they are creative or not. In this case, one student was perfectly aware that this answer would not bring them any points, but we give it a straight A! When you are able to think outside the box, you will definitely achieve a lot in your life, and this kid is going places for sure! It is amazing how the child brain works! It seems that kids are able to see things that we as adults would be able to see! It seems that at one point the human brain just switches to ‘adult mode’ and we stop seeing the world the same way we did. This simple situation is more than enough to prove that a kid can see things adult would hardly be able to. The kid asked why the Christmas squid is even a thing and their brother had to spend some time figuring out that question. 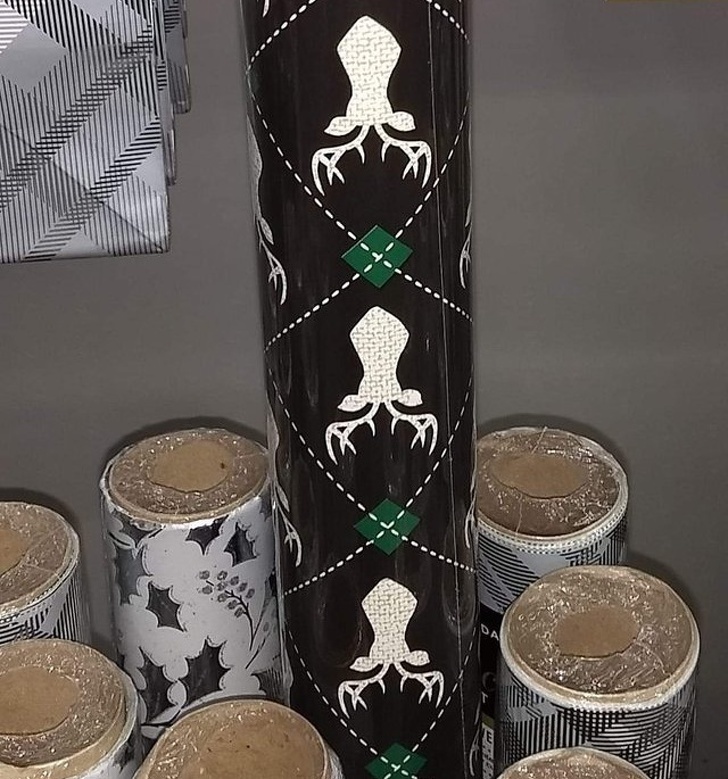 Eventually it became clear that the kid was looking at wrapping paper with a reindeer head pattern that was upside down. Here is one really good example of a certain way in which a kid decided to express their artistic skills. Sure enough, most people would think that it is not something special. 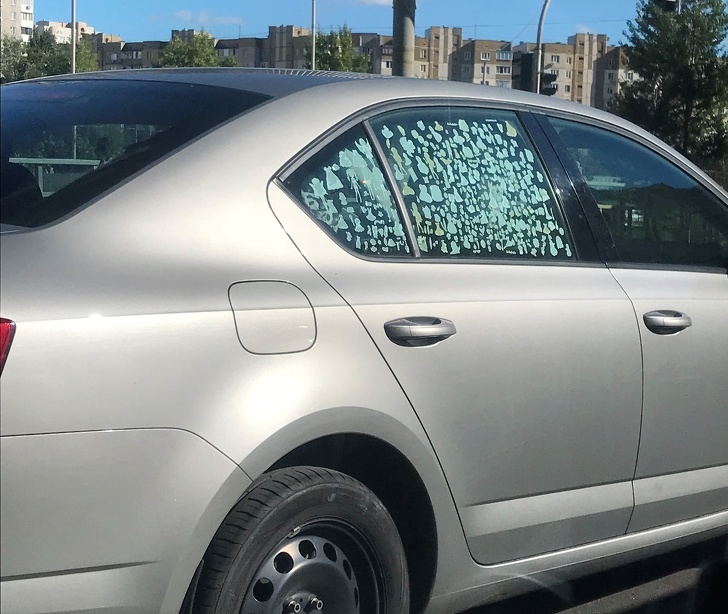 Some parents would even be furious at their kid for doing such a thing, but there is more to this than it meets the eye. If a kid spends this much time adding one sticker after another, it means that besides being artistic, the kid is also very consistent and is capable of showing patience which is very important for every individual! Of course, nobody would expect a 9-year-old kid to give their parent a present for their birthday, but it is possible. Some kids save money from their allowance and they buy their kids presents. In this case, however, the 9-year-old girl was not able to buy a present but she really wanted to. This is why she came up with an idea that she hoped would be good enough, and it is! 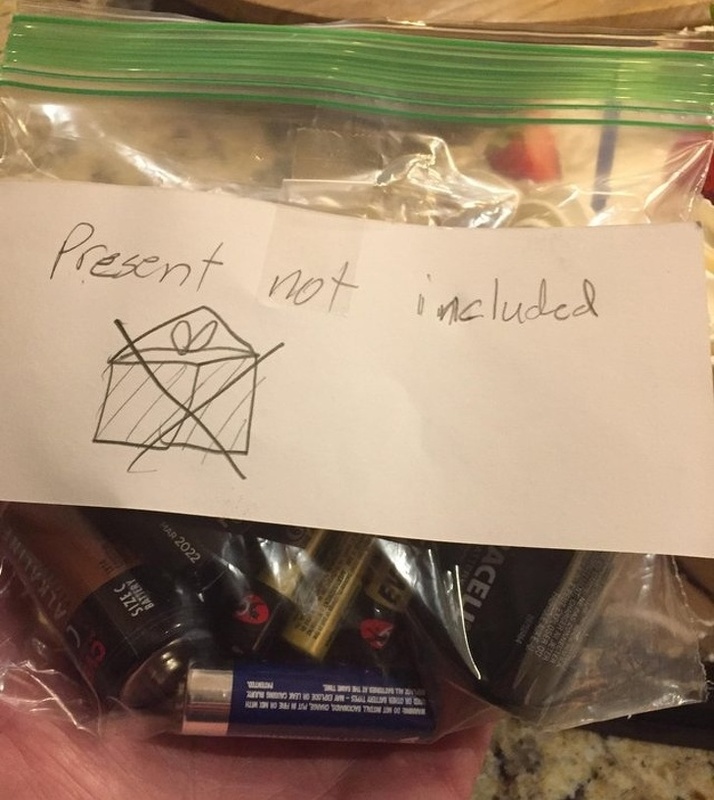 The ‘present not included’ note in a bag of batteries is an amazing idea and a really funny one, too! Every parent knows the feeling of not being able to explain the obvious to their kids. If this happens in the store, a temper tantrum is very likely to follow, and these moments could seem to last forever. 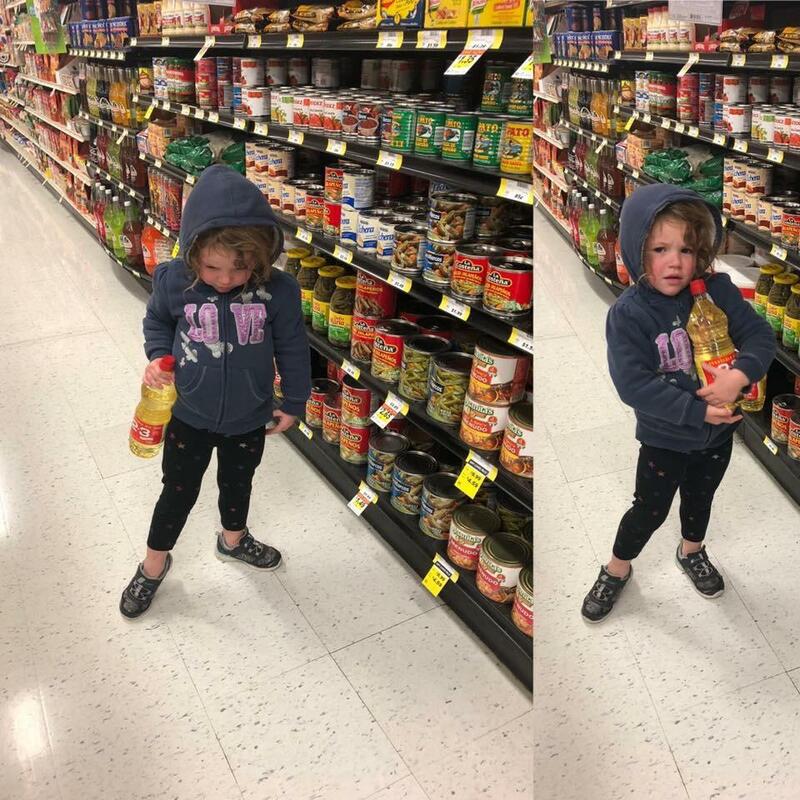 In this case, the little girl did not take things to the extreme, but she became very upset due to the fact her mother did not allow her to take that bottle of corn oil. The reason is hilarious – the toddler was convinced that it was apple juice, and there was no way that she could believe it was merely oil! This is not about taste preferences or something like that. We all prefer different things to eat, but we guess that the majority of people love bananas! 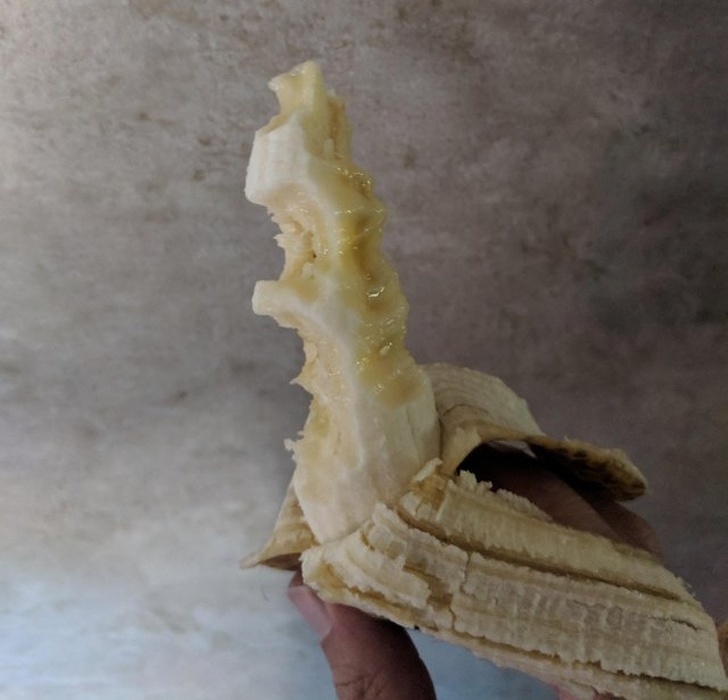 This is why we think that it is weird for someone to eat a banana like this. Of course, kids have a different ways of seeing things, and maybe the boys associated the banana with an apple, and we know that the middle part of an apple is not supposed to be eaten. We hope that the boy learns the right way of eating a banana before adulthood comes. This is actually a good example of how even a 2-year-old toddler is able to find a sneaky way out of a situation. Many kids find it to be boring to brush their teeth, so they try to find all kinds of different ways to skip that. In this case, the mom left her toddler unsupervised for just a couple of minutes, and the kid was able to do what their mom told them, technically speaking. 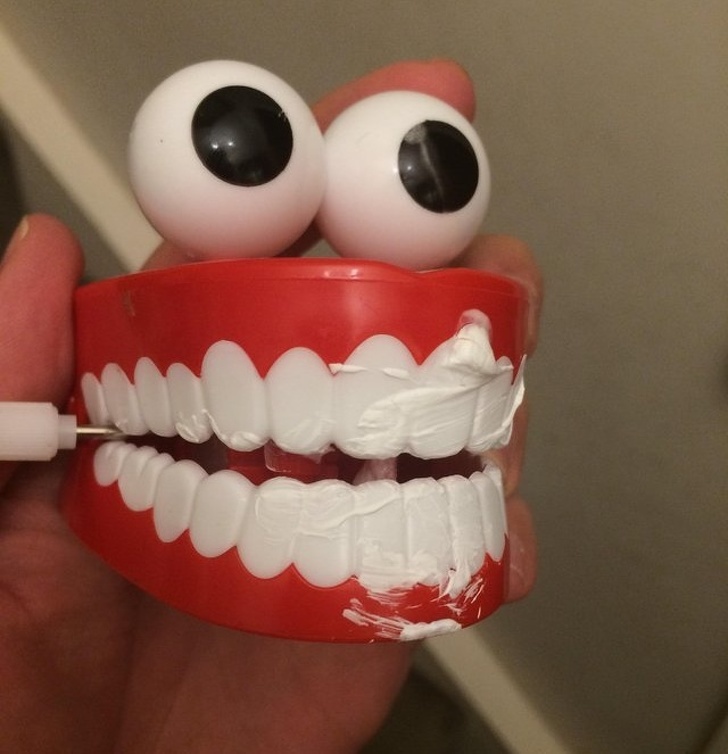 After all, those teeth belonged to the toddler, and they brushed them! 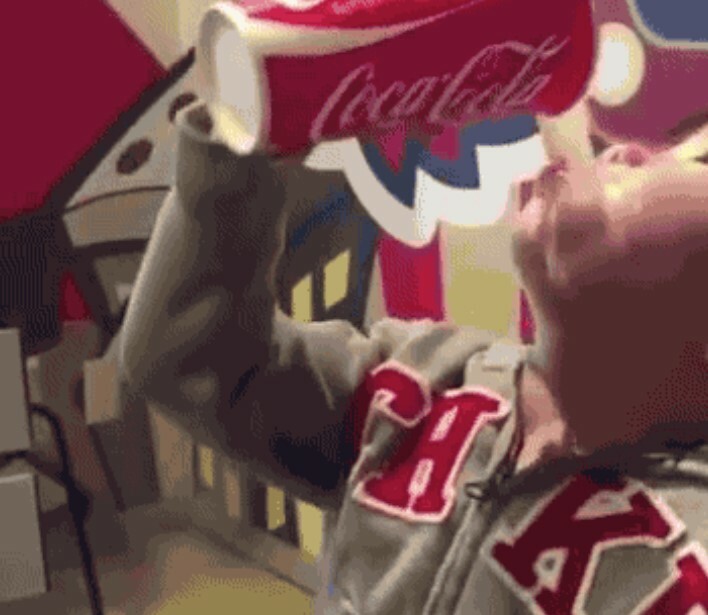 As much as we love drinking soda, we know something that we learned at an early age. When drinking out of plastic cup, the safest thing to do is use a straw, because the chances of making a mess are significantly smaller. 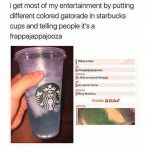 However, this boy did use the straw, but when he did, he thought that lifting the cup in the usual way while drinking from the straw would somehow increase the flow. Well, it did, but it created the thing that the boy expected the least – a soda shower! You know how some devices with a touch screen display require a special pen to work, right? Well, most of them don’t, but people still believe that using something specific instead of their finger would be the better option. 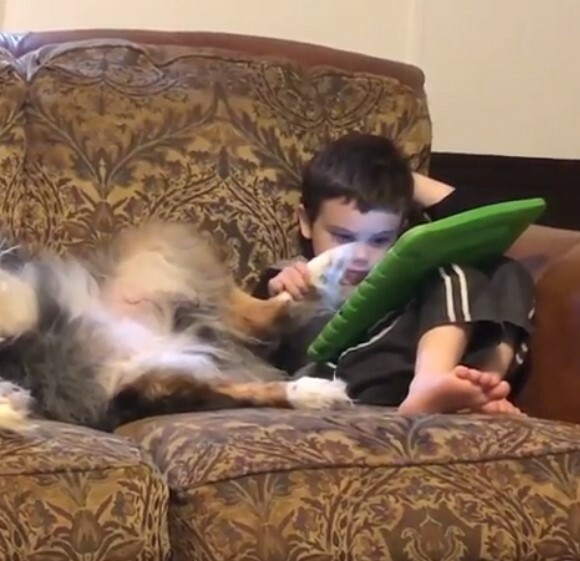 As you can see, this Australian boy decided to use one of the family dog’s hind paws, and the dog had no other choice but to cooperate! 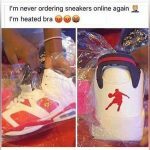 This is just too funny! The tech legend once said that he would prefer to give a hard task to someone lazy, because such a person would find the easiest way to find a solution! In this case, one kid actually did exactly that. The child found what we guess was a flow and technically solved the maze without having to go all the way through it! 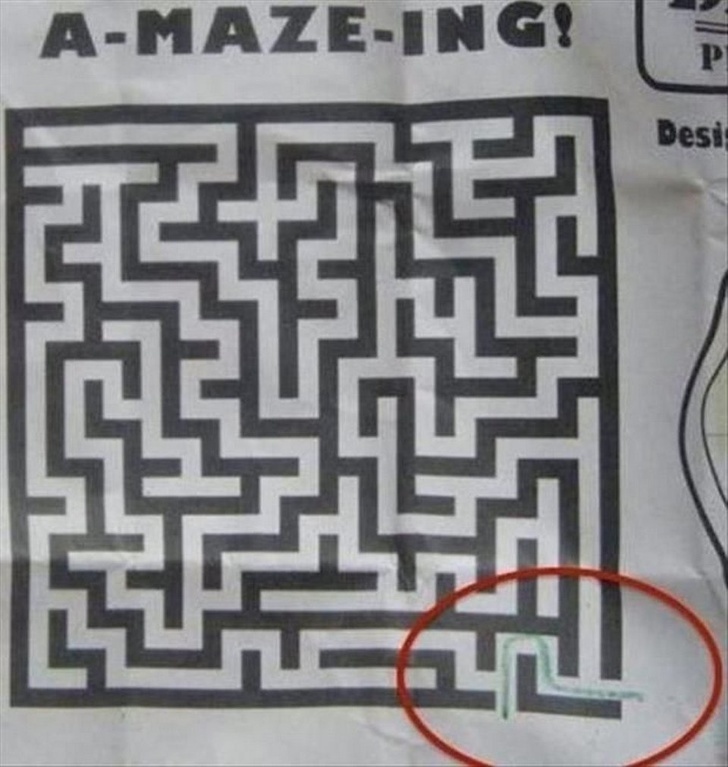 As you can see, a clever kid decided to solve this task in the best possible way. Nobody could argue if the answers are correct or not, because the task is technically solved after the row in the two columns were connected. Of course, there is no way of knowing how the different rows are connected, and that was the whole point of this trick! We guess it was not a correct answer, but it was a clever one!